Transposition of the great arteries (TGA), also called transposition of the great vessels, is a serious heart defect that is present at birth. In this condition, the position of the two main blood vessels that carry blood away from the heart, the aorta and pulmonary artery, are switched. It is estimated that transposition of the great arteries occurs in 1 in 3,500-5,000 births, with boys affected more often than girls. It is not known what causes TGA. In a normal heart, blood from the body comes into the heart and goes from the heart to the lungs through the pulmonary artery to get oxygen. It comes back to the heart and is pumped out to the body through the aorta. 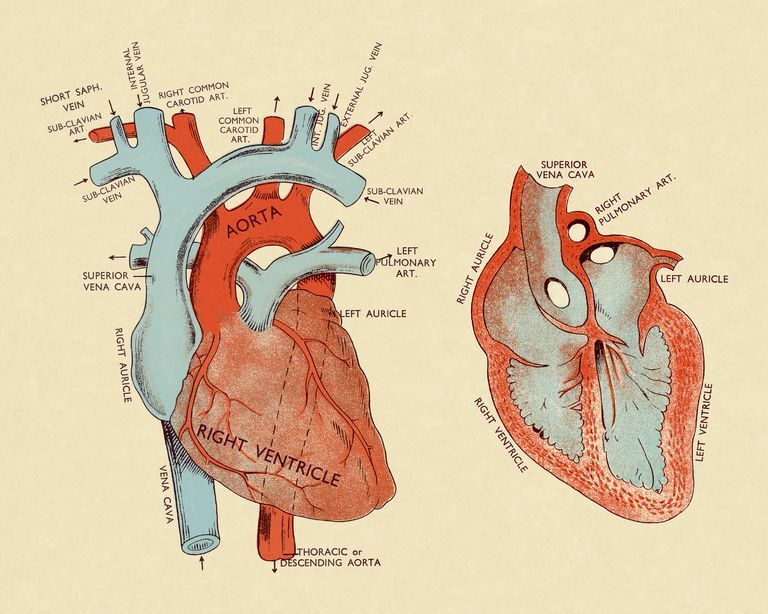 Since the pulmonary artery and aorta are switched in TGA, blood from the body comes into the heart but just gets pumped back to the body again without going to the lungs for oxygen. Transposition of the great arteries often occurs with other heart defects such as ventricular septal defect (VSD). In 10% of cases, there are other types of birth defects present in addition to TGA. Cyanosis – In TGA there is too little oxygen in the blood that is pumped out to the body. The baby has a bluish color to his/her skin and has shortness of breath. How severe the symptoms are depends on whether any oxygen can get into the blood that gets pumped out to the body. A ventricular septal defect is a hole in the wall in the middle of the heart. If it is present it can allow some blood that has oxygen in it to get mixed in with the blood going out to the body. In this case, the baby would have less cyanosis, or only have it when he/she was crying or upset. Diagnosis of transposition of the great arteries is confirmed by an ultrasound of the heart, called an echocardiogram. If TGA is suspected before birth, an echocardiogram can be done on the fetus in the womb. Diagnosing transposition of the great arteries before birth helps make sure the baby receives the special type of medical care he/she will need after birth. Shortly after birth, the baby with TGA will begin receiving an intravenous (IV) medication called prostaglandin. If there is no hole in the wall in the middle of the heart to allow blood with oxygen to be mixed in with the blood going to the body, a hole will be surgically made using a technique called balloon atrial septostomy (also known as the Rashkind procedure). These treatments, though, are temporary. The baby will need to have open heart surgery to correct the heart defect, putting the pulmonary artery and aorta back into their correct places (called an arterial switch operation). The surgery is usually performed in the baby’s first month of life and may be needed within the first two weeks of life if the cyanosis is severe. Until the mid-twentieth century, most babies born with transposition of the great arteries did not survive more than a few months. Since newer, better surgical techniques and better care after surgery have been developed, the picture has changed, and most babies with TGA survive without serious complications. Martins, Paula, & Eduardo Castela. "Transposition of the great arteries." Orphanet Journal of Rare Diseases 3(2008): ePub.